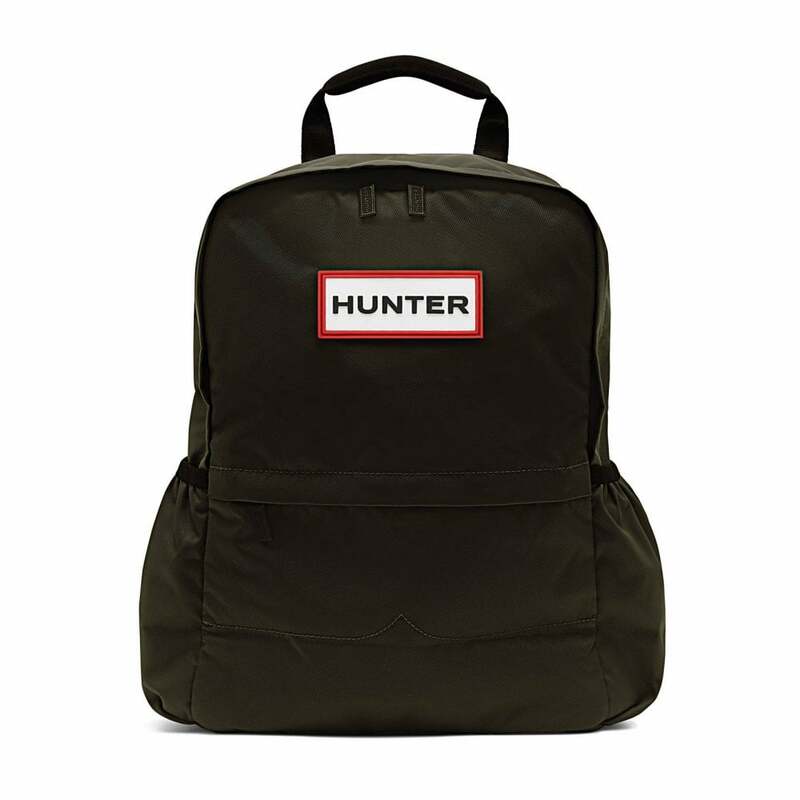 This Hunter Original Nylon Backpack is 100% nylon exterior and is olive green in colour. It has an exterior zip-fastened pocket, as well as a zip-fastened main compartment. It has a handle and adjustable shoulder straps. Hunter branding appears on a rubber patch on the front as well as the zip tags.